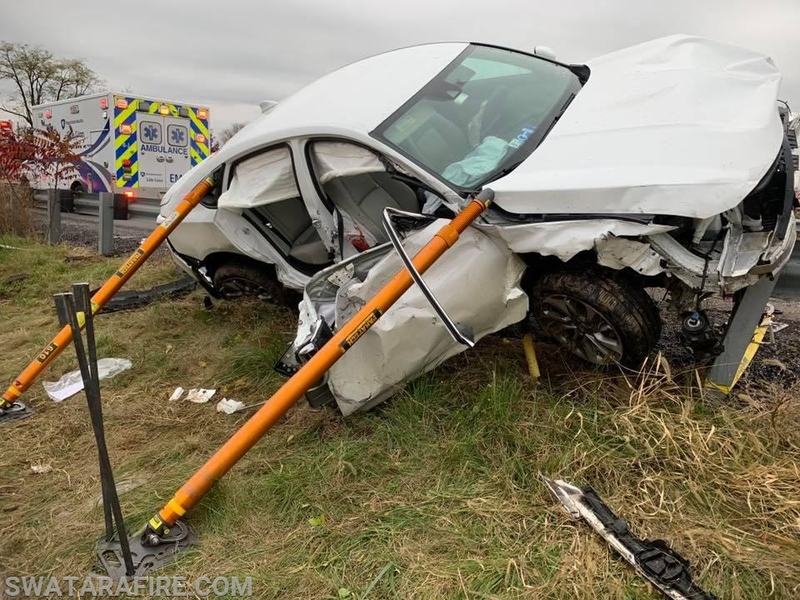 During the morning rush hour in the Capital area, Box 91-4 was dispatched to Interstate 283 in the area of the Swatara Township Building for an MVA w/ Injuries. Chief 91 and Rescue 59 (Lower Swatara) arrived as the first due Rescue (R91-5 working a 1st Alarm Building Fire in Hershey) and advised of 4 trapped. Rescue 91 arrived and crews worked to remove the passenger's side doors. Crews marked extrication within 20 minutes and transfered care to EMS. The box was placed available shortly after.